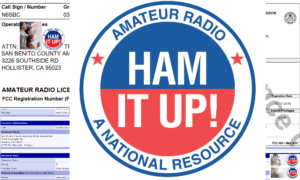 Where all persons interested in Amateur Radio are welcome! Thank you for viewing our fundraiser page… Louisiana Delta Radio Club’s finances come specifically from these fundraisers that occurs twice a year. Donation Amount —$5.00 and you can pay with paypal.. We will email you a pic of your stubs, and mail them to you.. PLEASE include your Phone Number, and your mailing address on PayPal comment line so we can include it on the ticket stub for the hopper and mail your portions to you AND so we know how to contact you if your a winner! IF YOU WIN our 1st or 2nd place prize, And you LIVE AWAY FROM North Louisiana, Fear Not, We can Ship your prize (IN THE LOWER 48 States) to your favorite Gun Store and you can pick it up there. Please keep in mind your local gun shop might charge a Transfer fee. The W5KGT tower, the 147.135 District 8 Regional Repeater, the 145.230 Union Parish Repeater, the 146.700 Winnsboro Repeater, the 443.800 Digital Repeater, The Northeast Louisiana APRS system, Field Day equipment, and other club owned or managed equipment. Volunteer Communications Functions : Run for the Cross, Run for the Red White and Blue, The Chennault Aviation Veterans Expo, Various Special Event Stations throughout the year. Emergency Preparedness and emergency communications mitigation for Stormwarn Activities, Ham Radio Field day, Winter Field Day, Disaster Communications, Club owned equipment acquisition, upkeep, insurance, maintenance, and updates. 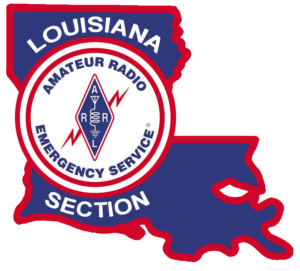 Louisiana Delta Radio Club is a Non-For Profit Louisiana Corporation covering the LA-ARRL District 8. LDRC Provides W5YI Testing during every club meeting. LDRC is PROUD To be an ARRL Affiliated Club.